"Training Sessions for Designing of Forms"
There’s no point beating about the bush if your employees and reps have difficulty in understanding the functionality and that is why I think Bahaquote had its interactive form and proposal design training feature and the help manual to know more about the quoting software and how to manage it. It is simply gets effortless to quote when you know how to do it. 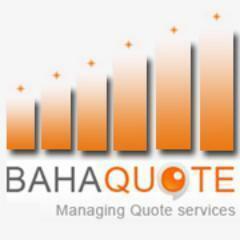 Bahaquote ‘How it Works’ section covers all aspects relevant to quoting and the software functionality as a whole. * We monitor all BahaQuote Software reviews to prevent fraudulent reviews and keep review quality high. We do not post reviews by company employees or direct competitors. Validated reviews require the user to submit a screenshot of the product containing their user ID, in order to verify a user is an actual user of the product. Hi there! Are you looking to implement a solution like BahaQuote Software?